Implantable (CGM) Continuous Glucose Monitoring System « Adafruit Industries – Makers, hackers, artists, designers and engineers! 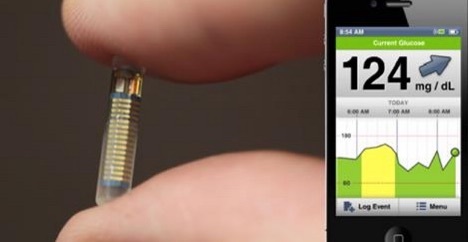 It looks like Senseonics just passed a level of regulatory approval for their implantable glucose monitor. The unit lasts only ninety days, but that is a big improvement over the current ones. While I don’t want to swap implants every three months I sure like the idea of being able to continuously monitor my blood sugar. This would be amazing for tracking athletic performance and diabetic issues.